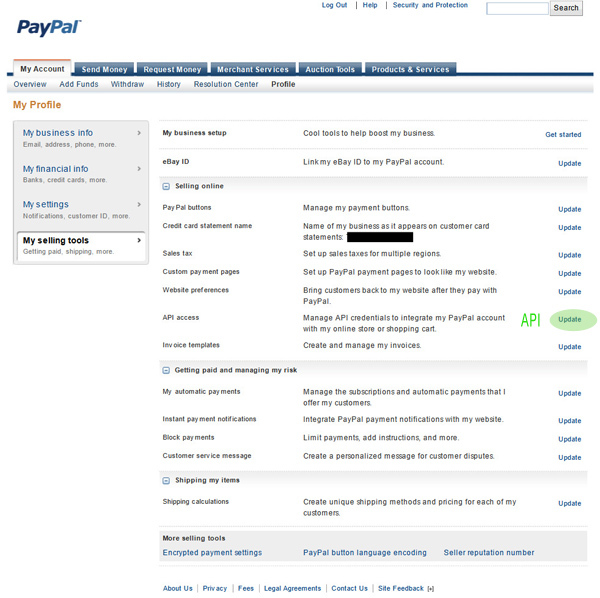 To receive payments to your PayPal account you will of course need your website set up correctly but also have your PayPal Business Account configured correctly. The following configuration settings have been successful for us across a number of different websites using the same PayPal Standard account. 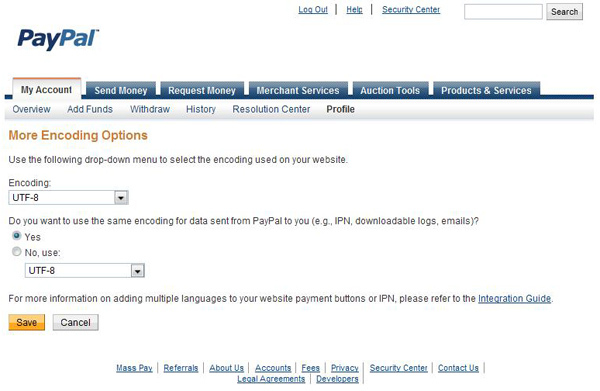 Here are four important things to check if you are having trouble getting your PayPal working smoothly. First, when you log into your account click on “Profile” and “My selling tools“. Start with the following settings unless your website setup requires something different. 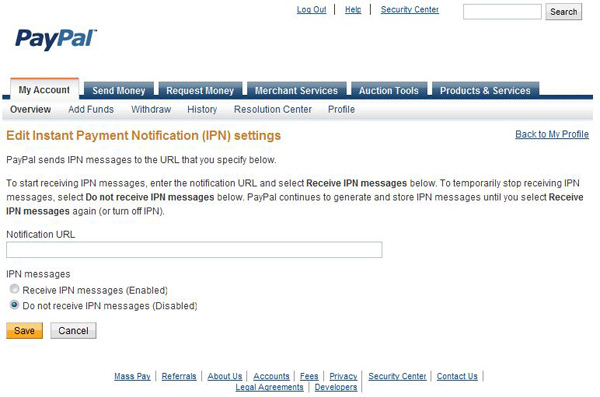 Turn IPN off unless your website setup requires otherwise. The important point here is to set “Block payments sent to me in a currency I do not hold” to “NO”. 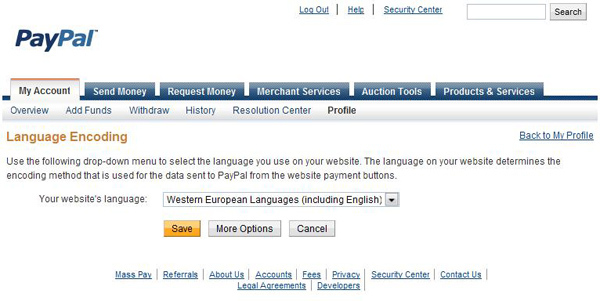 The first page by default probably says “Your Website’s Language: Western European”. Leave that as it is but click on the “More Options” button and set your Encoding Method to UTF-8. Some website setups may also require you to get an API signature, which means you’ll need to follow the steps in the following video and copy/paste the API Username, API Password and API Signature that PayPal autogenerates for you. 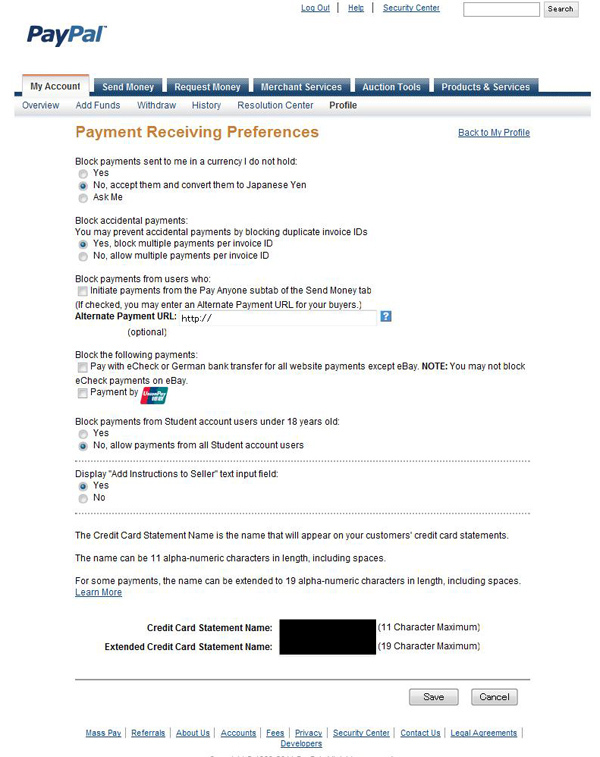 Your website will use these details somewhere in the payment gateway setup options. If you found this article useful why not LIKE our Facebook Page and leave a comment. Happy online selling ! Is Your Website Blocked In China?